Do you want to be part of deciding how CRAMBA-IMBA is run? Do you want to be decide how trails are built? From Trail Workers and designers to event organizers, from trail coordinators and website maintainers to Mountain Bike Patrollers and board members, CRAMBA-IMBA is run by people like you. Whatever you’d like to do, CRAMBA-IMBA needs your help. 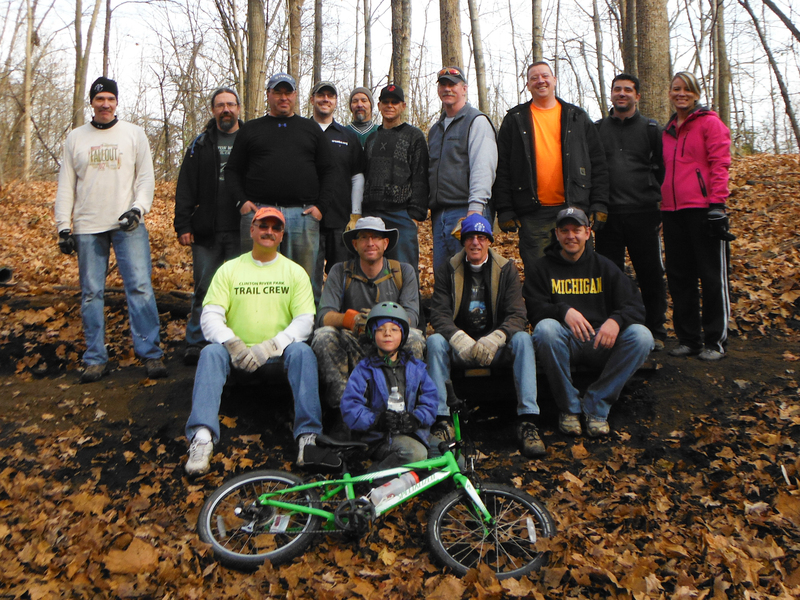 When you volunteer you step up your love of mountain biking and put something back into the trails that we all enjoy. Trail Worker: Work on CRAMBA-IMBA-maintained trails is done by people just like you. Some of us can only make one Trail Day per year while others seem to be present whenever there’s work to be done. Regardless of your availability, if you want to get started having a say in your trails, being a Trail Worker is the place for you. No experience is necessary to be a Trail Worker, just a desire to make our trails better. Show up at one of the CRAMBA-IMBA Trail Days to get started. Wear clothes for working outdoors (long sleeves, pants, gloves, eye protection) and something to drink. 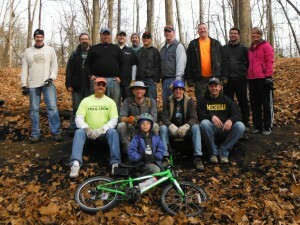 All CRAMBA-IMBA Trail Day information can be found on the Calendar at http://cramba.org/calendar. Mountain Bike Patrol: Riding your bike, helping other people, being involved in the management of your local trails? Do you want to sharpen your skills in outdoor first aid, trail side bike repair, off-road riding and trail-use education? If so, check out the CRAMBA-IMBA Mountain Bike Patrol. Similar to the Ski Patrol at many slopes, the Mountain Bike Patrol helps out fellow users of local trails. Check out the CRAMBA-IMBA Mountain Bike Patrol page for more information. 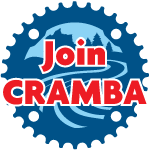 CRAMBA-IMBA Board Member: The CRAMBA-IMBA Board of Directors sets direction and prioritizes everything we do. If you want to take a leading role in setting the direction of mountain biking advocacy in Southeast Michigan, a seat on the Board of Directors is for you. We meet once monthly for about an hour, at a local meeting place, to discuss chapter business. There are twelve seats on the board, each elected annually. The minimum commitment is that you regularly participate in monthly board meetings and contribute to email-based discussions. Many board members optionally take on roles (such as Chairperson, Treasurer, or MMBA Representative) or work on projects that they’d like to see happen. For more information about the CRAMBA-IMBA Board of Directors, or if you would like to get answers to questions about being on the board, please email info@cramba.org or contact an board member directly and ask. Event Volunteer: CRAMBA-IMBA events can’t happen without volunteers to make them go. Help is needed for everything from serving food and setting up the race course at our Addison Oaks Fall XC Classic fundraiser race to marking the route for our hugely popular Massive Fallout group ride. If you would like to help out with an event, email info@cramba.org and let us know what you’d like to do and we’ll get you started! Trail Coordinator: The relationship between CRAMBA-IMBA and the land managers for each trail is overseen by Trail Coordinators. These individuals keep tabs on the state of their trail, oversee trail-specific projects such as maintenance and new trail construction, work with land managers, and organize Trail Days. Most trail coordinators are experienced trail workers who wanted to do a bit more for a favorite trail and took over the responsibility for another volunteer who was stepping aside, while others led wholly new trail development projects and continue to fulfill the role. Would you like to become a trail coordinator? Email info@cramba.org to get started.